iCareNet, what is it about? Context awareness has the potential to revolutionise the way people interact with information technology. Whereas conventional computers merely interpret explicit user input, context-aware systems analyse and automatically respond upon users’ behaviour and situation he/she is in. This enables electronic systems to assist users in situations in which the use of conventional computers and mobile devices is out of question. Research on context awareness has continued to intensify in the last decade due to the availability of cheap ubiquitous sensing technologies and mobile systems. Still, building reliable context-aware systems that can deal with complex real-life situations and environments remains an open research challenge and requires a multi-disciplinary effort. iCareNet focuses on healthcare, wellness, and assisted living (HWA) applications and makes a decisive contribution towards solutions, leveraged through an interdisciplinary perspective ranging from sensing and sensor integration, to human-computer interaction and social factors involved in the deployment of context-aware applications. Robust and scalable system architectures and design methodologies are the principal objective of all iCareNet efforts. iCareNet unites efforts of an interdisciplinary network of leading European research groups and a strong industrial and clinical participation. Currently the network comprises 11 full partners and more than 10 associate partners from several countries including Germany, United Kingdom, Switzerland, Finland, Denmark, Israel, and the Netherlands. 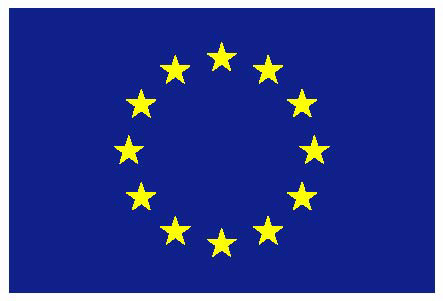 iCareNet receives funding from the People Programme (Marie Curie Actions) of the European Union's Seventh Framework Programme FP7 (2007-2013) under REA grant agreement n° 264738. October 02, 2014: The iCareNet Conference 2014 concluded today. We had three exciting days of scientific talks, demos, and discussions in Tampere, Finland. March 05, 2014: The iCareNet Conference 2014 will take place between Sep 30 and Oct 02, 2014 in Tampere, Finland.